Capable. Confident. Commanding. The 2018 Ram 3500 is no average pickup truck, proving that there’s no substitute for good, old-fashioned power and strength. If you’re looking for a truck that can get the job done right the first time, the 2018 Ram 3500 is right up your alley. It’s all about straightforward, no-thrills work, but it still provides the modern conveniences we’ve all come to expect. Those conveniences help to keep the driver and passengers comfortable, informed, entertained and safe. Get directions to Landers CDJR of Norman. 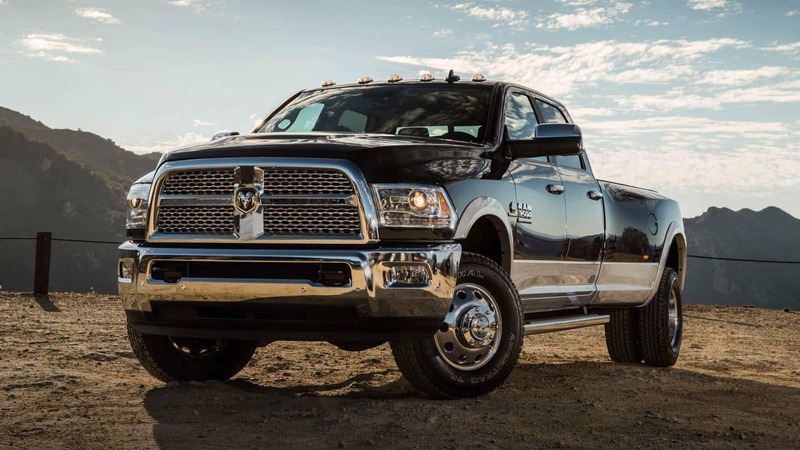 The 2018 Ram 3500 is the premier job site workhorse. The truck blends power and efficiency in one rugged package, with multiple configurations available to answer your every need. With six different trims and a number of available options, you can choose and build the truck that works best for you and your lifestyle. The 2018 Ram 3500 has a maximum towing capacity of 31,210 pounds. Yeah, you read that right. Didn’t we say this was no average pickup truck? The Ram 3500 also has best-in-class fifth-wheel towing of 30,000 pounds. It has a max torque of 930 along with a max payload of 7,350. So whatever it is, if you need to haul it or pull it, you can count on the 2018 Ram 3500. With additional features like Ram Active Air and Tow/Haul Mode Select, there really is no limit to what this truck can do. The confidence of the Ram 3500 is apparent in what you see and what you experience. The exterior styling boasts a confidence that is reflected in the truck’s durability, which you will be reminded of time and time again. The Ram’s exterior styling makes a bold statement that seems to say “I’ve got this.” The 2018 Ram 3500 also offers a number of additional exterior features that are designed to turn the confidence up a notch, and to help you bring along all the tools and equipment you need for every job. Box Rail Caps allow you to quickly load and unload cargo from your truck bed without worry. Power Exterior Mirrors give you a whole new way to command the road. Wheel-To-Wheel Side Steps help improve aerodynamics and performance efficiency, and the available tonneau cover is fantastic for optimal airflow and aesthetic appeal. What you see when you open the doors of the 2018 Ram 3500 is just as impressive. The available 8.4-inch touchscreen turns your Ram 3500 into a wired office on the road. The Uconnect 4C NAV delivers SiriusXM Guardian, HD Radio, 4G LTE, Android Auto and Apple CarPlay support and more, all in a crisp, full-color display. You’ll also enjoy enhanced safety and security with remote key lock, SOS Call and Vehicle Finder. The available upfitter switch interface comes with a variety of inputs and outputs allowing the driver to simply and securely connect any number of external features like plows and tow lights to the truck’s electrical system. Electronic Range Select allows the driver to manually or automatically select the optimal gear for downshifting and engine braking. The Crew and Mega Cab trucks are also equipped with standard rear under-seat storage, so you can keep all your most important items close at hand. If you’re ready to get in a truck that won’t slack off on the job, come in and see us here at Landers Chrysler Dodge Jeep Ram of Norman to take a 2018 Ram 3500 out for a test drive. In the meantime, you can check out our inventory online. Get directions to Landers Chrysler Dodge Jeep Ram of Norman. Browse our 2018 Ram 3500 inventory online.